Our third day at the Rio Grande Valley Birding Festival did not start out well: our bus has a mechanical problem and our departure was delayed by about 3 hours. Fortunately, the replan included a lengthening of the trip by three hours and provisions (picnic lunch). On the plus side – we avoided some rain showers that moved through while we were waiting; on the negative side – we could have slept later (getting up at 4 AM is common at birding festivals!). Our destination was the Laguna Atascosa National Wildlife Refuge. We didn’t seen any ocelots that the refuge is trying to protect…but we did see plenty of birds. The days was very cloudy and misty – not good for photographing. I picked a few that were good enjoy enough for identification. There were snow geese coming and going. I liked this line because of the different morphs visible. And a Great Blue Heron standing on one leg surveying the shore. A group of Forster’s terns, with the black feathers around and back from their eyes) were grouped along the shore (looks like the birds behind them were snoozing). 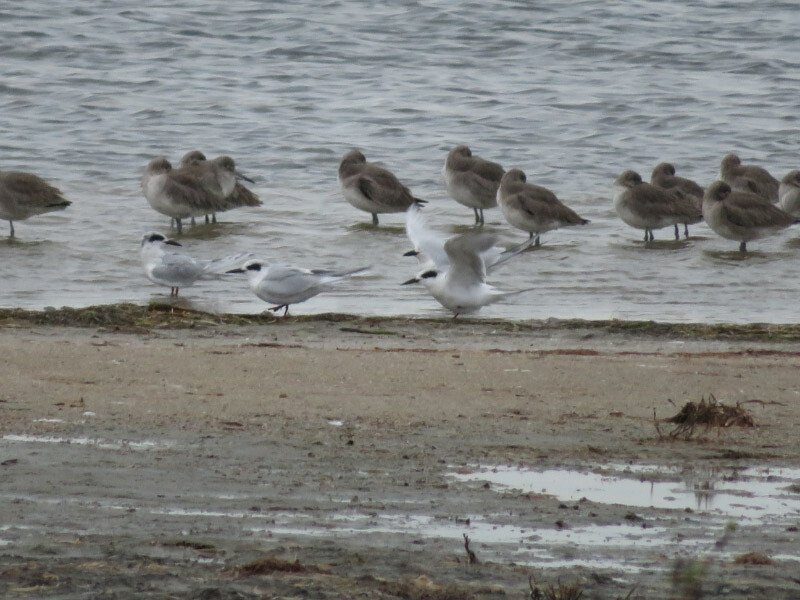 The Forster’s tern is in the middle of this image. The largest bird is a Caspian Tern and the one in front is a Royal Tern. 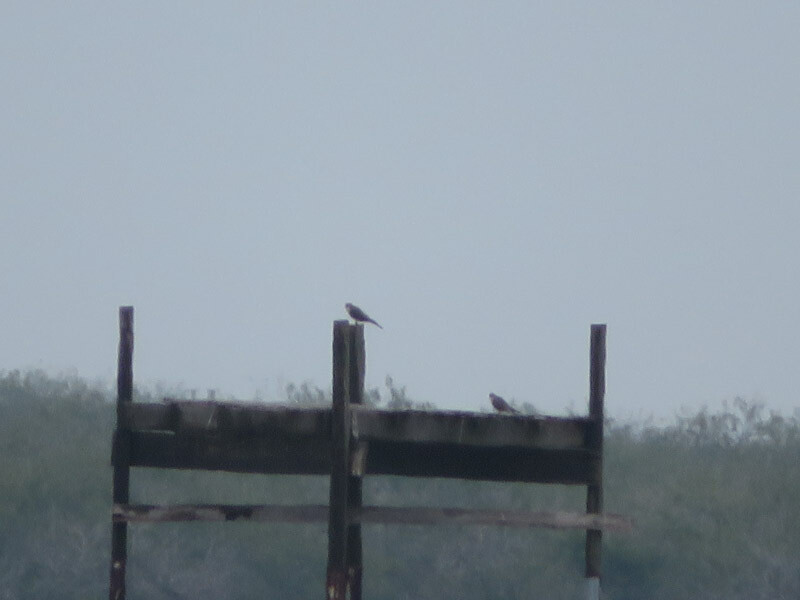 The Royal Terns I’d seen in Maryland always looked like they were wearing a black cap but that is only during the breeding season…not this time of year in South Texas. A brown pelican flew above – following the shoreline. 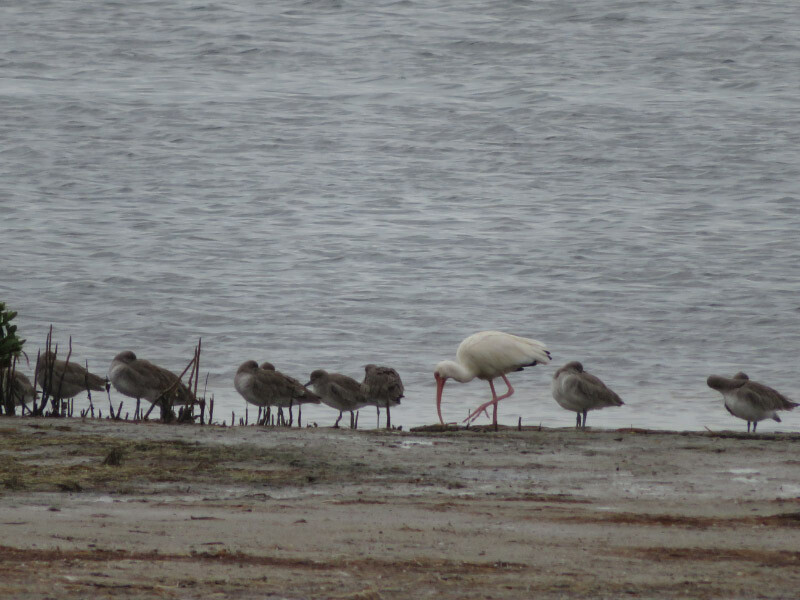 White Ibis wandered through the other shore birds. 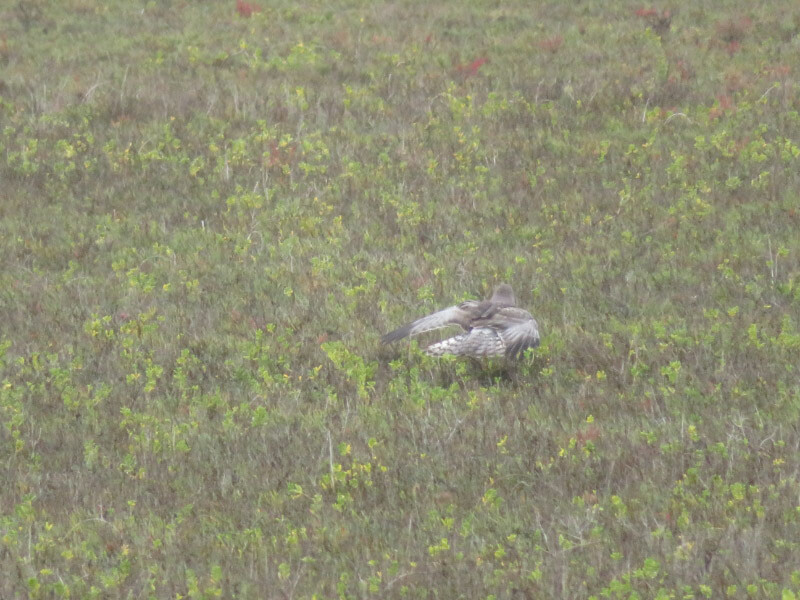 The Crested Caracara were new to me. Since the ones I saw on the field trip were a little far away – I took a picture of a captive bird as the Expo. I took a close up of a prickly pear tuna (fruit)…note the spines. 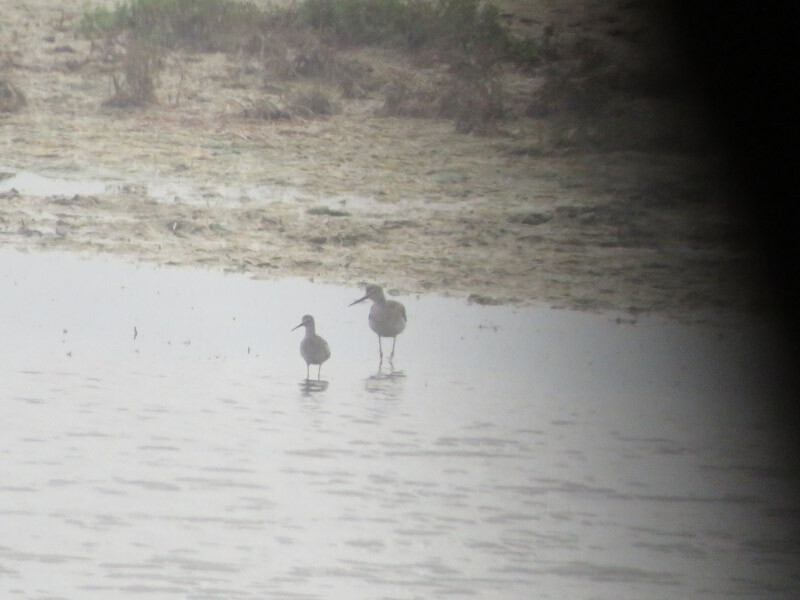 Side by side – a Lesser and Greater Yellowlegs. 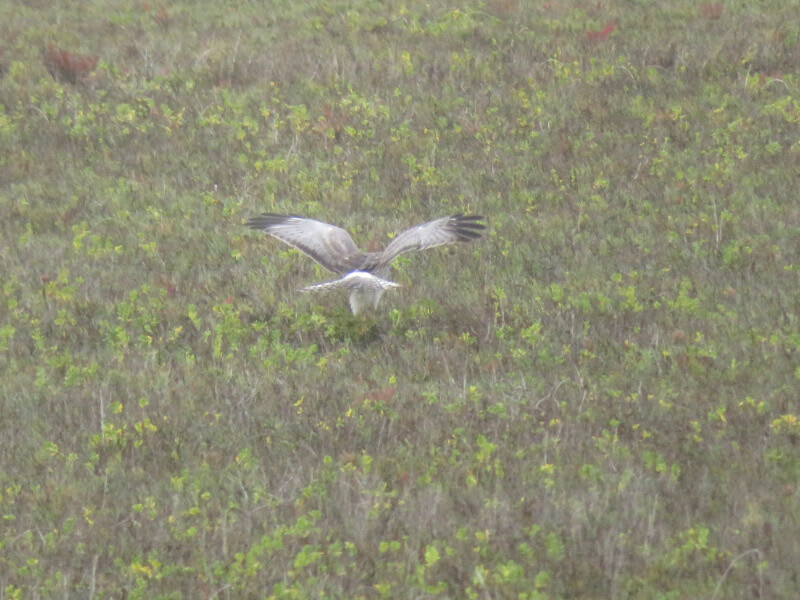 We were all on the bus when a male Northern Harrier swooped down into the field beside the road and hovered over prey. I did pretty well taking this series through the bus window since there was no time to do anything better. 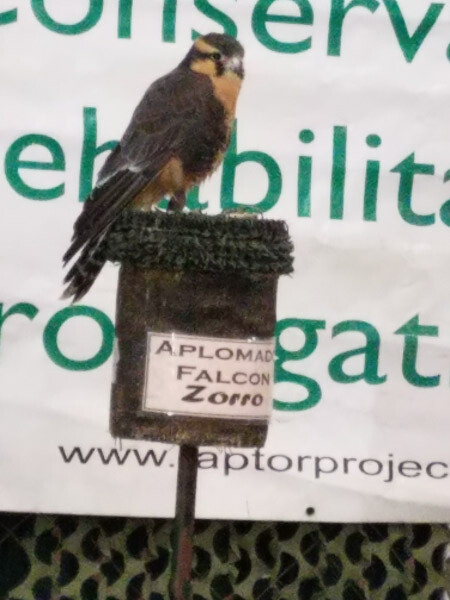 There is a platform where aplomado falcons are nesting. 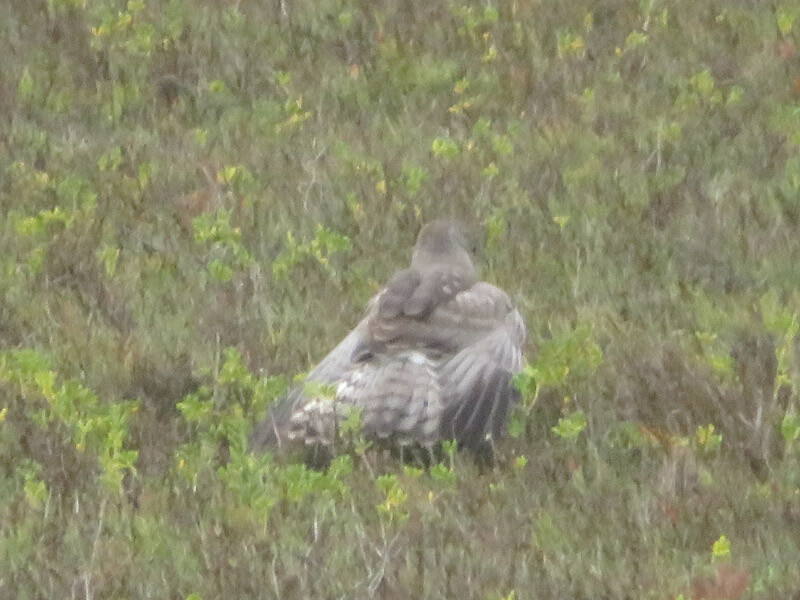 This is an exciting recovery story since this bird was gone from the area for years and has only recently been reintroduced and is breeding again in south Texas. 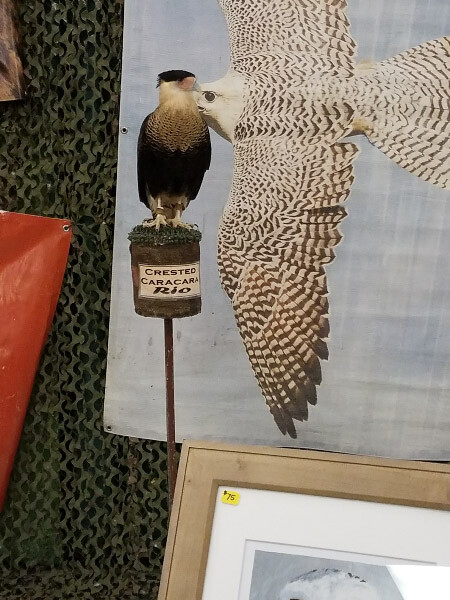 I took a picture of the captive falcon at the Expo just as I had the Crested Caracara. We stopped at the visitor’s center and walked around the cards there. Red-winged blackbirds are all over North America! The white winged doves are summer birds in south Texas according to allaboutbirds but there were still a lot of them around in mid-November; I wonder if they are really year round in the Rio Grande Valley. It was a longer day that we’d anticipated but better than we thought might happen in the hour or so after we initially learned of the bus problem. In the end we decided that the Laguna Atascosa trip was well worth it.